Flexible, simulated leather covers offer a distinguished image. Clean, crisp wide ruling enables superior note-taking. Features smooth 28-lb. cream-colored acid-free paper. Satin ribbon page markers help with quick recall of important notes. 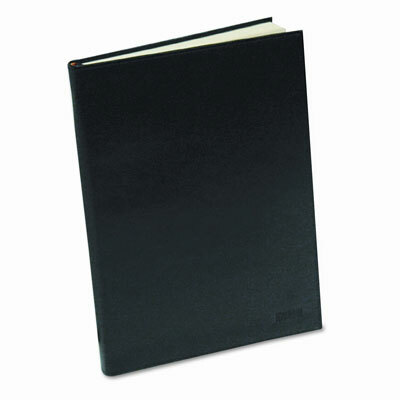 Maintain a sophisticated, professional image with this high quality business journal. Flexible, simulated leather covers offer a distinguished image while clean, crisp wide ruling enables superior note-taking. Features smooth 28-lb. cream-colored acid-free paper and satin ribbon page markers for quick recall of important notes.